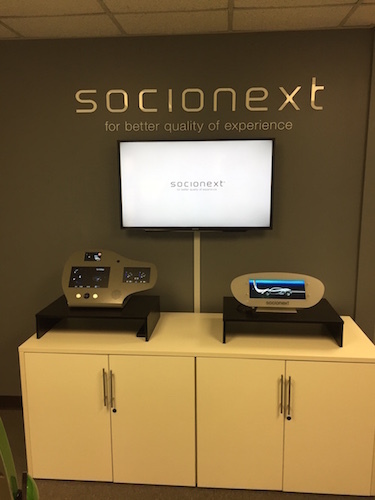 Japanese-based Socionext Inc., a global technology company with locations across the U.S., has opened a sales office in Livonia to service automotive manufacturers and industry suppliers who are creating next generation vehicle safety, vision, and interconnection technologies. “We are growing our team here and getting more involved in brand and company awareness for our products and technologies specific to automotive,” says Ryan Romanczuk, sales manager of the Livonia location. Romanczuk says the new office, located at 34441 Eight Mile Road (west of Farmington Road), will allow the company to connect with future prospective clients and receive potential assistance from system manufacturers on new and existing projects. “Our focus going forward will be on advanced driver assistance systems offerings and technology — things that will enable the applications for Tier 1 and automotive, and original equipment manufacturers as well,” Romanczuk says. He says Socionext will focus on selling their existing products, including graphic display controllers (chips that power their cluster system that controls infotainment and smartphone features), CGI studio software (used to create the graphics and designs on their screens), and an omni-view (a 360-degree wrap around vehicle view). Founded in 2015, Socionext Inc. is headquartered in Yokohama, and has offices in Japan, Asia, Europe and a North American headquarters in Sunnyvale, Calif. to lead its product development and sales activities.